World Cup 2014 Future betting Host Brazil was the early World Cup 2014 favorite and will likely remain that way through the opening ceremonies. See which countries offer the best World Cup odds value. Betting on World Cup 2014 will be one of those must-wager events of the year, just like the Super Bowl and Kentucky Derby. But Brazil 2014 odds make this a year-long event where you can place wagers on which team will win the trophy, which team will advance from each group, which players will score the most goals. You can also place World Cup bets today on the first games of the tournament. These odds will move and change as the kickoff gets closer and team form, player injuries and other handicapping information comes available. Can Brazil do what Spain did in 2010, which is to win as the pre-tournament favorite? Spain won it all four years ago but they were the fourth betting choice in early 2014. Four South American teams (Brazil, Argentina, Colombia and Uruguay, led by Luis Suares) are among the top dozen picks at World Cup odds makers such as Bovada. FIFA's World Cup 2010 came and went in style and the odds-on favorites came through with a victory in South Africa. Spain was the pre-tournament favorite ever since winning Euro 2008 and despite an opening-round loss against the Swiss, they rolled to victory, defeating Holland 1-0 in the final. Right up until June, bettors could get Spain at +400, which was just slightly shorter odds than Brazil and Argentina. And after that opening loss, their odds dropped. Andres Iniesto scored in extra time for the Spanish, who shrugged off a physical challenge from the Dutch. For soccer bettors, it was a great day for UNDER plays as many predicted a low-scoring match. Overall, pre-World Cup odds for goal scorers were not kind to the favorites. Fernando Torres struggled and was benched, while his running mate David Villa ended up tied for the tournament lead with five. Youngster Thomas Muller of Germany also scored five and earned the Golden Boot by adding three assists for the surprising Germans. They came to South Africa with a young squad and three times scored four goals in a match, including a shocking quarter-final rout of Argentina. World Cup 2010 saw the return of Diego Maradona, who livened the event. It also witnessed the collapse of the French side, ripped apart by politics and internal bickering. 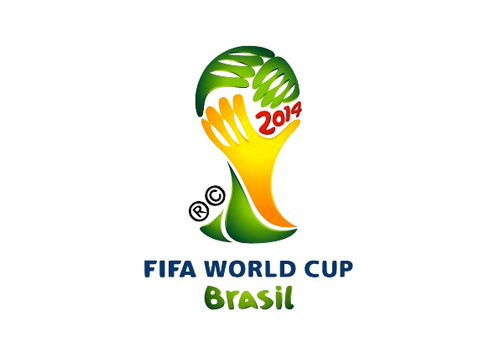 World Cup odds continue to make headlines as qualifying for the 2014 event in Brazil will commence soon. And you can immediately wager on which team will win World Cup 2014 by visiting the futures at OddsShark.com. Brazil will host the 2014 event and there are already concerns about the pace of construction there. Can the South American nation get its act together to host a great games in 2014? The home side would surely be a pre-tournament favorite playing in front of rabid home fans. Of course, the World Cup is synonymous with football but the name extends to rugby and cricket as well as those World Cups happen in 2011. Rugby World Cup odds are available at most quality sportsbooks, including bodog and Bet365.com; ditto Cricket World Cup odds which produces huge wagering volume throughout the world. WorldCupAdvice.com will go back into hibernation for now, reviving as the next World Cup of Soccer looms. In the meantime, follow some of the links to our friends in the business and for followers of domestic leagues, you can find matchup reports, form data, previews, recaps and match odds on more than 40 leagues and competitions at FACupodds.com. Check it out and good luck in future wagering on World Cups. Rugby's World Cup brings together the top nations every four years, but unlike soccer, it's not Brazil, Argentina, Spain and Germany leading the way - it's New Zealand, South Africa, Australia and France. New Zealand plays host to the Rugby World Cup 2015, check it out and check out the current odds. Cricket's World Cup is a huge international event that doesn't make much of a stir in North America. Three nations will host the 2015 event with India, Sri Lanka and Bangladesh sharing host duties. In all, 14 nations will take part in the February event which will capture the world's attention. Check out the current odds to see which team is favored to win it all.Rugby's World Cup brings together the top nations every four years, but unlike soccer, it's not Brazil, Argentina, Spain and Germany leading the way - it's New Zealand, South Africa, Australia and France. New Zealand plays host to the Rugby World Cup 2011, check it out and check out the current odds.